NEW DELHI: If you find yourself struggling on WhatsApp to search any kind of attachments — photos, links, documents, videos and more — then you will love the new feature that WhatsApp is working on. Facebook-owned instant messaging app is testing a new ‘Advanced Search’ feature that will allow users to search different types of messages. According to a new report by WABetaInfo, the website that tracks changes and upcoming features on WhatsApp, the ‘Advanced Search’ feature will appear in the Chats tab itself. 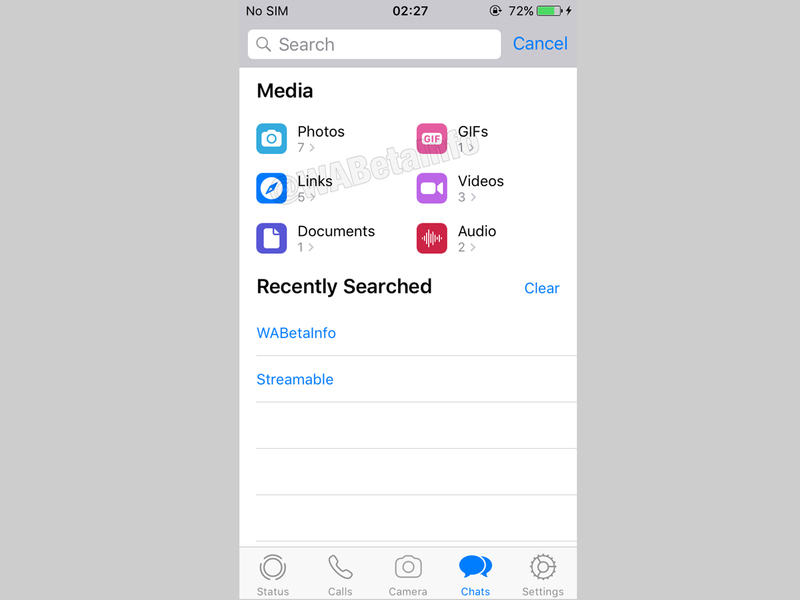 Tapping on the search bar will now open several media options such as Photos, GIFs, Links, Videos, Documents and Audio. Below that, there will be ‘Recently Searched’ list, which can also be cleared as well. 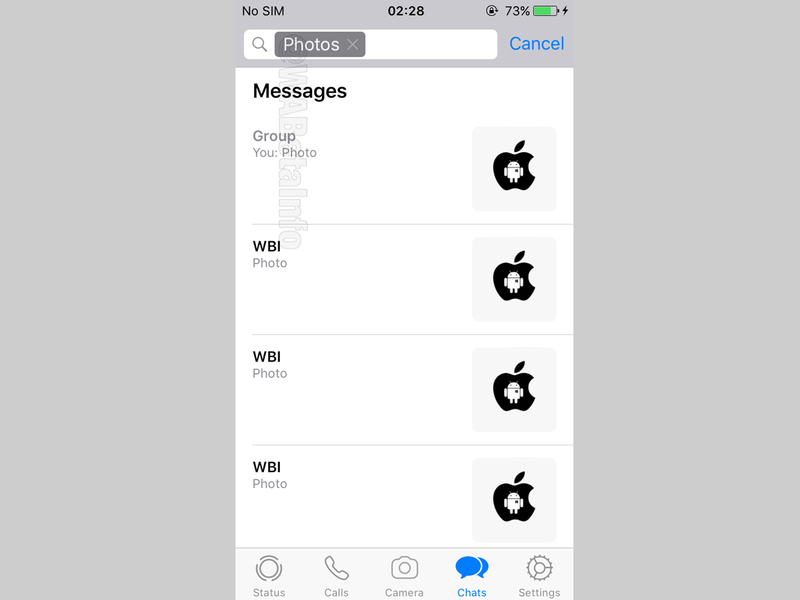 As per the screenshots shared by WABetaInfo, on tapping Photos, GIFs and Documents, WhatsApp will show all the chats — Group and individual — that contain the aforementioned media files. In the chat windows, you will also see a preview of the media as well. 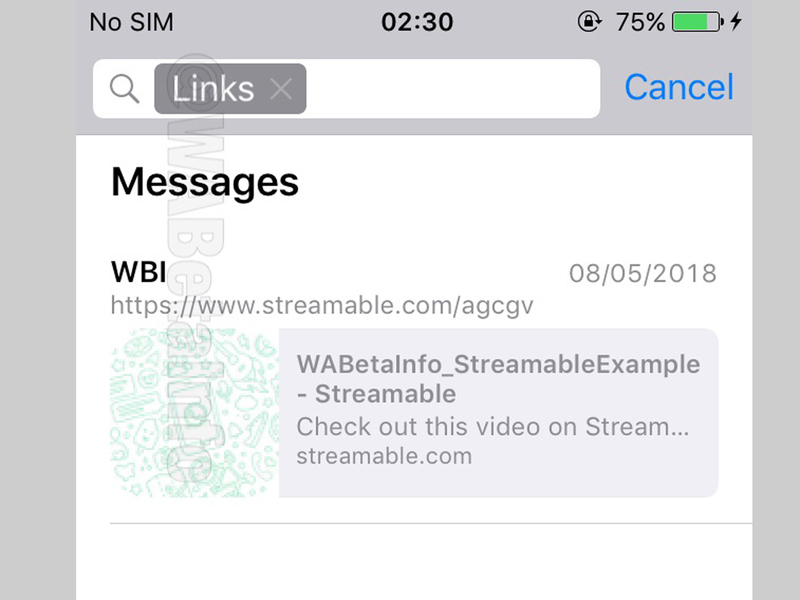 Tapping on Links, WhatsApp will show all shared links in the chat and groups. As for audio, tapping on Audio will show all the voice messages but there will be no preview option.